I am inspired visually. 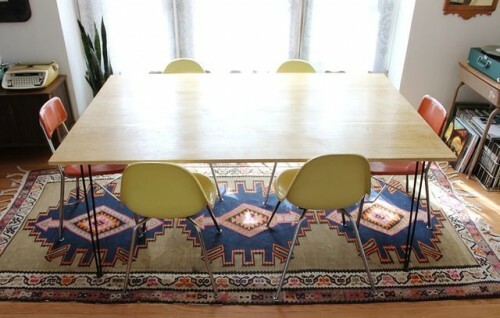 I still love to look at a magazine and daydream about how I am going to make this area or that area just perfect. 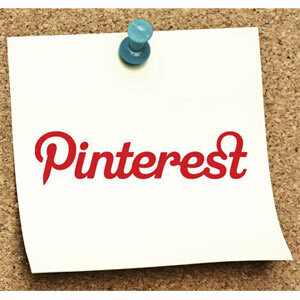 So when Pinterest came out I grabbed a hold of it and never let go. I have special boards for projects or rooms that I am working on. I have boards that are specific to a certain craft, like knitting, or felting. I have some boards that are for things that I may never do myself, but they are fun to look at like a swimming pool. But the best folder of all is the catch-all folder that houses all the crafts that inspire me. It is my favorite board, and it is the biggest board now. It’s called Crafts I Want To Make. 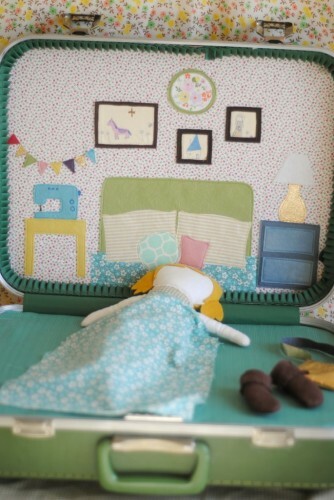 The Doll Suitcase By Pretty Prudent. Patchwork Posse shows this GREAT tutorial about how to embroider your house! Bus Stop does not give a tutorial for this, but I think we all get the general idea. I love that. And I feel confident that I could make one if I spent about 15 minutes on the floor of my daughter’s room. The fairy things never get old. 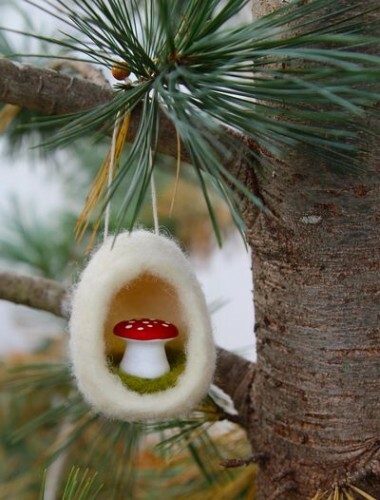 This toadstool in a felt egg from 54 Stitches is charming my socks off. 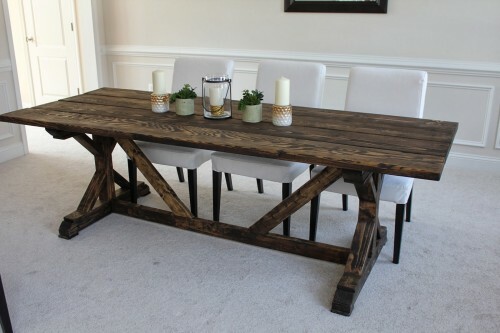 Moving into a bigger scale, I would SO like to do a big huge table for the back yard. But A. my husband does not know of this passion and B. wood work is way way outside of my comfort zone. I would like to think I could do it. But the truth is, I am not sure it would turn out. I would really want the results to be amazing. That’s enough for now. You can see my whole list of dreamy things on my board. 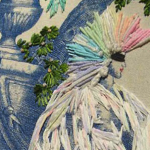 Crafts I want to Make. Do you have a big list like that? Little stuff that you could make tomorrow? Or big things that you wish were in your wheel house, but in reality, they are $500 of new tools (band saw, sewing machine, interchangeable wood knitting needles) away? In truth what holds me back from a lot of this wish-list stuff is the $$$ outlay of tools and materials, only to feel like I might not succeed. Or succeed with only crooked- home made looking results. ? Oh well, I have the board pinned! I’ll knock them off one at a time! 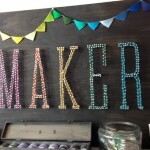 4 years ago by Susi in Crafts , Reviews , Tools | You can follow any responses to this entry through the RSS feed. You can leave a response, or trackback from your own site. I am going to have to check out your board. 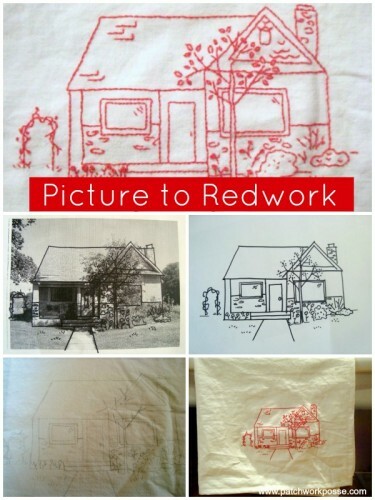 The red work house is just so awesome–I could do that with the tools I have and my husbands drafting ability. The frame of old toys is KILLER. 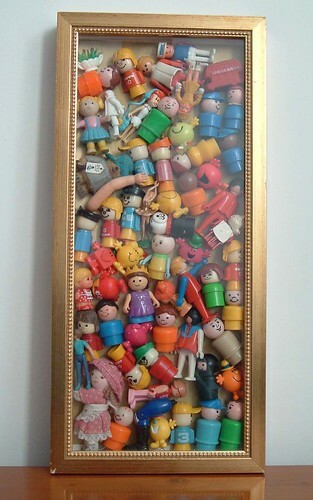 I have a glass jar that I have collected the little bits and pieces of my girls toys over the years, but it sits on a tall shelf to rarely get looked at. This is hand on the wall art worthy. I don’t do some projects because I think they just won’t turn out as cool as I envision, and then I let that stop me. The reality is, I am always happy I tried and pushed myself and learned something in the process. I need to get passed the “perfect” picture. Having the right tools is a must–so hard to invest too much money for something that I might not ultimately even enjoy. And where to store it all.